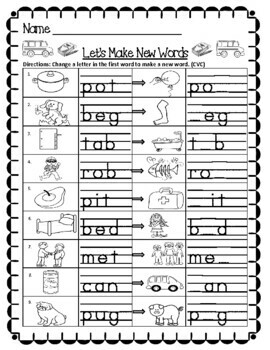 This phoneme substitution page is a free sample from my product titled, Let's Make New Words-Phoneme Substitution Worksheets CVC/CCVC/CVCC. Students change the beginning, middle, or ending letter sound to make a new word. 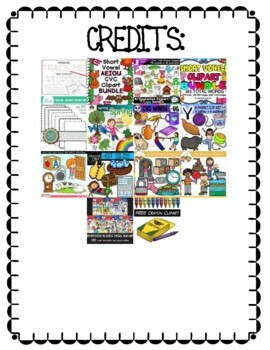 Check out the full packet if you are looking for phonics worksheets that can provide practice, review, or an assessment to use in your classroom!